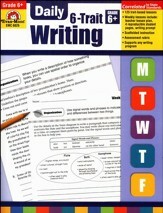 This Apologia writing curriculum is a complete, writing-focused language arts program that integrates grammar, punctuation, and capitalization. 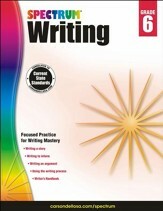 Teaching students about sentence structure, the parts of speech, punctuation, capitalization, and usage within the context of creating clear, engaging stories and essays, this program sets aside the traditional "personal/ expository/persuasive/narrative" divisions in favor of real-life writing assignments. 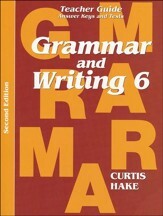 Volume 1 focuses on introducing the parts of speech and how they function in a sentence, including: nouns, verbs, adjectives, adverbs, conjunctions, prepositions, and interjections. Thorough and systematic, six units and twenty-four modules are included, with lively and colorful lessons building on previously-taught concepts, skills, and terms. 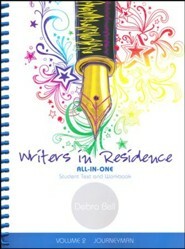 The easy-to-use, "all-in-one" Student Text and Workbook features an engaging tone that's written directly to the student. 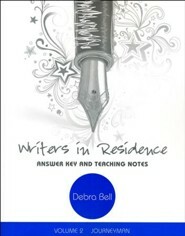 Each unit opener includes a focus on a Christian writer, unit overview, and rubric; units include models from professional writers for students to study and use as an inspiration for their own writing. 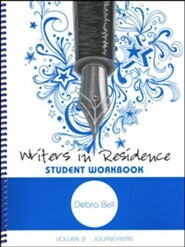 Modules integrate clear, engaging instruction with sidebar notes and a variety of exercises. 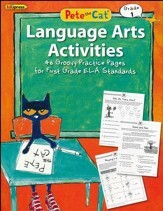 Grades 4-8; can be used with children in different grades simultaneously with adjustment. Suggested schedule is for 128 days of work, which means this volume can be completed in 32 weeks working 4 days per week. 576 pages, spiralbound softcover. Glossary and appendices included. Non-reproducible and consumable. Scripture is from the ESV. 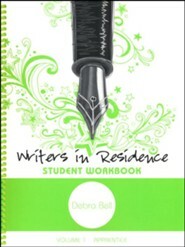 Q: What do I need to purchase to use this with 2 students? 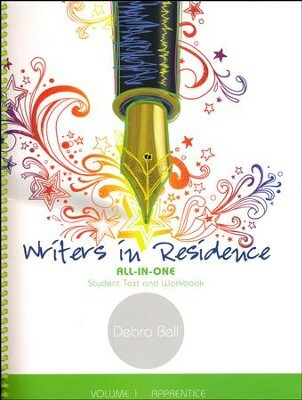 To use this curriculum with multiple students you need to purchase one copy of WW132771 "Writers in Residence Answer Key" and one copy of this consumable workbook for each student. 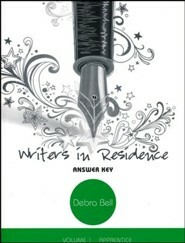 I'm the author/artist and I want to review Writers in Residence Volume 1 Apprentice Book.